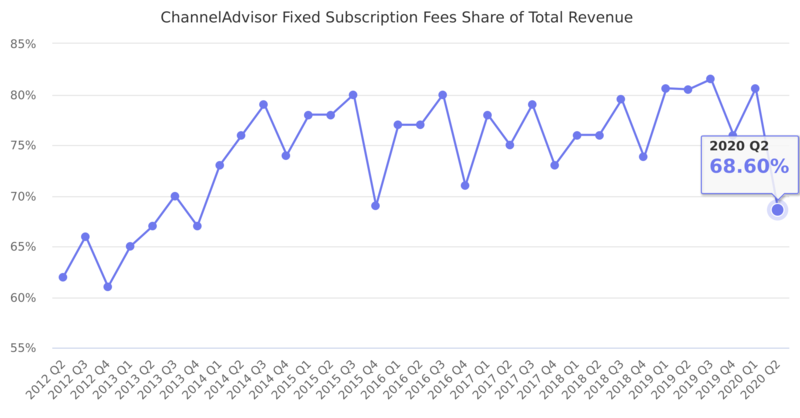 Fixed subscription fees as a percent of total revenue. The other portion of total revenue is from variable subscription fees. Last reported quarter 2018 Q3 it was 79.5%, up by 1% year-over-year from 79.0%.